Located near the charming village of Estézargues, the hotel restaurant La Fenouillère is a true family story. Colette and Doris Roulet have created the hotel in 1969 on a field of fennel, hence the name! Today, their 3 sons and wives work together to offer you a warm and friendly welcome. Specializing in groups and coach operators, the hotel has 82 air-conditioned rooms, a restaurant and a swimming pool. The perfect base for visiting the Pont du Gard, Avignon, the Camargue and Provence! The hotel has 4 types of rooms, all air conditioned and equipped with a TV with local and foreign channels. They offer you a pleasant view on the park and can accommodate up to 3 people. Three bedrooms are available for disabled guests. The hotel restaurant La Fenouillère has been a specialist in group hosting since 1969! 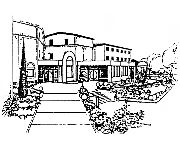 Our hotel has been created to accommodate easily groups of travelers, and is perfectly adapted for groups and coaches. Our 82 rooms, our 3 dining rooms and our coach parking allow us to accommodate up to 3 coaches per day. After nice visits, no need to move! You will be able to taste - on the spot - in the restaurant of La Fenouillère a traditional Provençal cooking, copious and varied. Our 3 spacious and air-conditioned rooms can accommodate up to 180 people and will allow you to live good moments of conviviality. You can stroll in the shaded garden of La Fenouillère hotel, composed of oaks of Provence and olive trees. After long visits, you will particularly enjoy a few moments of relaxation at the edge of our large secure swimming pool, unless you prefer to play petanque with friends on our petanque alley! At the Fenouillère, you can relax! 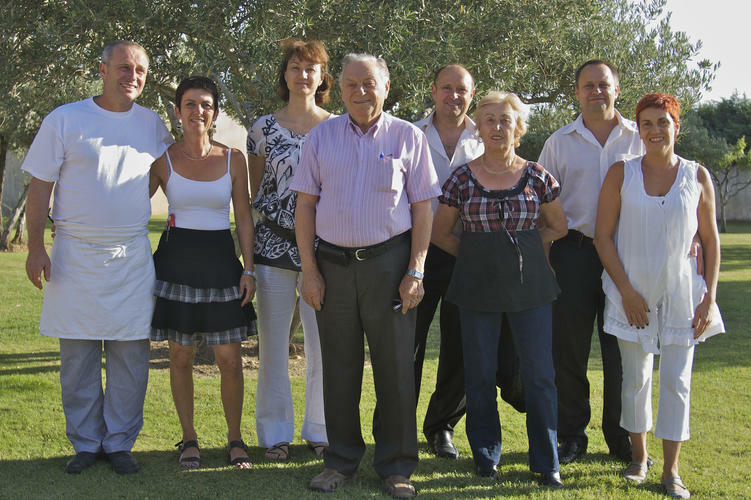 Group specialist, the hotel restaurant La Fenouillère welcomes you during your stay in Provence and Camargue. 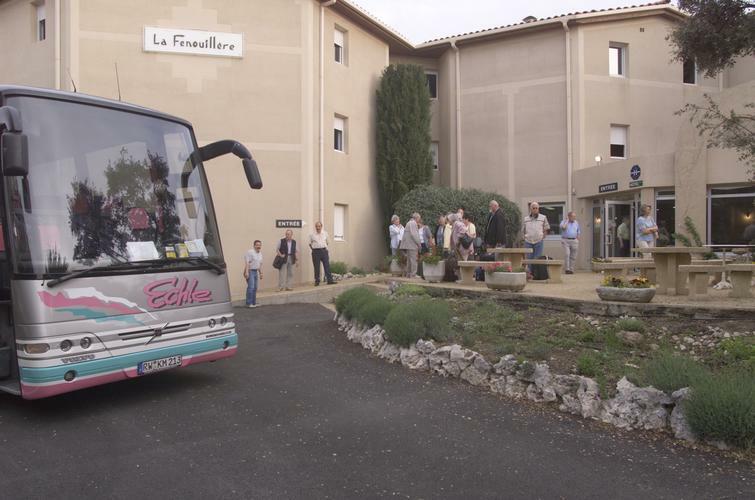 Located near the village of Estézargues, Pont du Gard, Avignon and the Camargue, our hotel is the ideal basecamp to discover our touristic area.